If you want to make Pinterest a key part of your marketing strategy, investing in a scheduler like Tailwind will save you time. 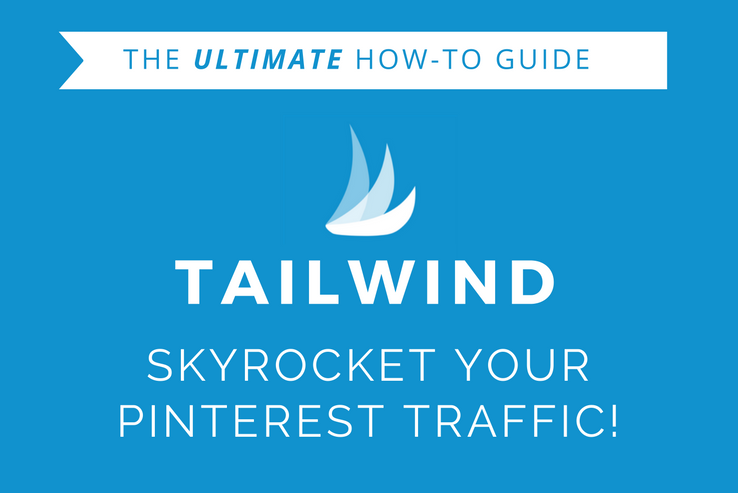 Tailwind is Pinterest-approved and one of the most popular options for Pinterest scheduling. Using Tailwind, you can set a schedule and have your pins going out on Pinterest all hours of the day and night, growing your account and skyrocketing traffic back to your site on autopilot. 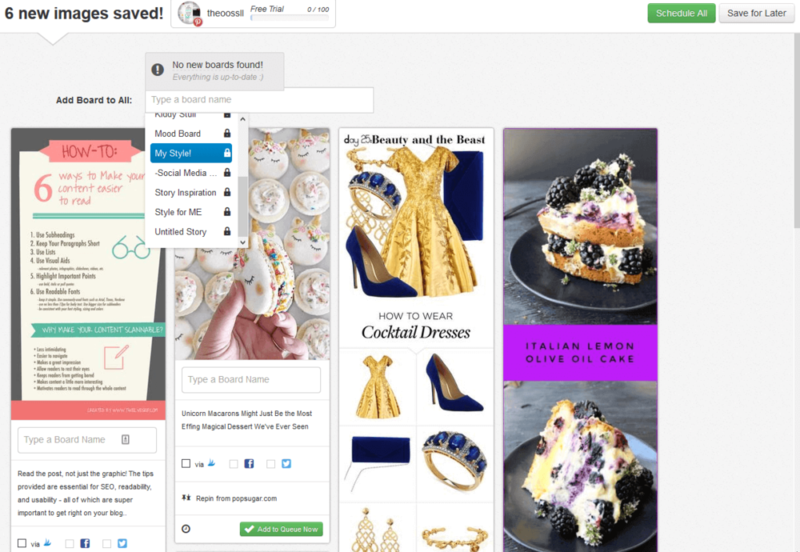 The Pinterest algorithm, the Smart Feed, takes into account various information when determining whether your pins are seen. One thing it pays attention to is your account activity. You don’t want to be on Pinterest all day. Keeping up an active presence on Pinterest is difficult without using a scheduler. Buffer recommends pinning up to 30 times per day! Manually pinning that much would be quite a commitment. Don’t spend all day on Pinterest! Use @Tailwindapp to grow your Pinterest presence fast. Using a scheduler allows you to queue up pins and then Tailwind keeps your account active throughout the day. Is it safe to use Tailwind? Could my account get closed? Yes, it’s safe! Tailwind is one of Pinterest’s Marketing Partners meaning it’s legitimate, Pinterest-approved, and risk-free. What do you need to know before using Tailwind? Your website confirmed on Pinterest. Tailwind provides thorough and detailed analytics if you have your website confirmed and analytics installed. 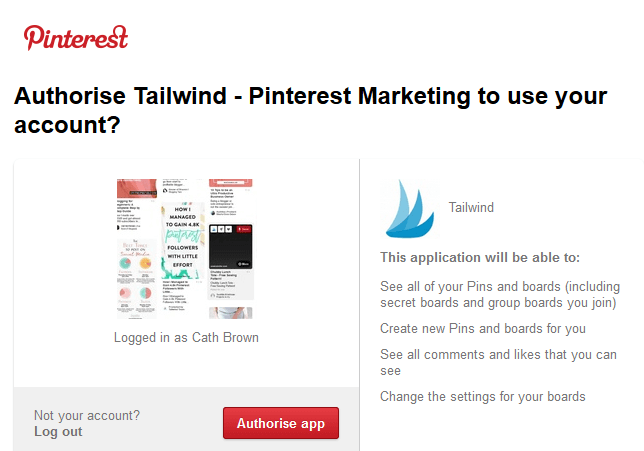 Navigate to Tailwind and click Signup with Pinterest. A popup box will appear asking you to Authorize your account. It’s easiest if you’re already logged into Pinterest, otherwise log in now. 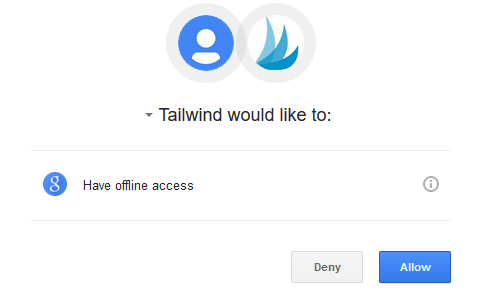 Tailwind will ask you for an email and password to complete your account. Enter your details and click Complete Your Account. 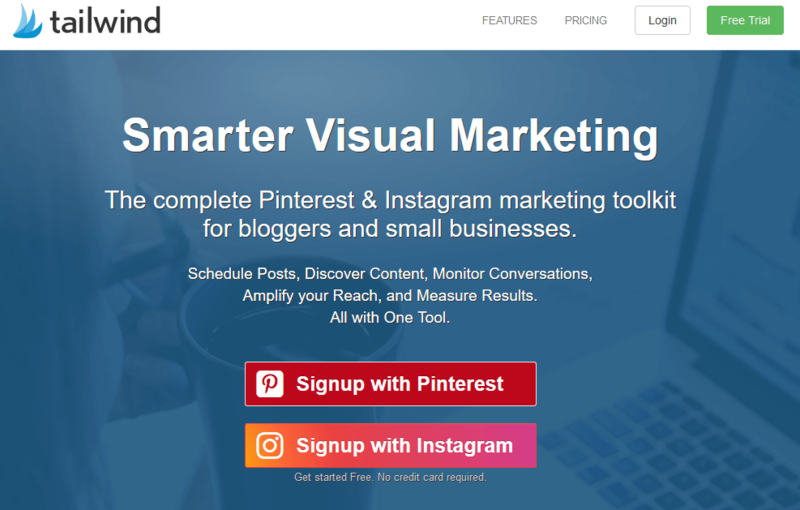 Traffic metrics – you’ll be able to see the results of your Pinterest marketing strategy right from Tailwind. E-commerce Transactions – for e-commerce brands to attribute results from campaigns to pins and pinners. Click on the Settings nut in the top right-hand corner and select Sync Google Analytics. Click on Integrate Google Analytics and choose the Google account your analytics is attached to. A popup will appear asking you to confirm. 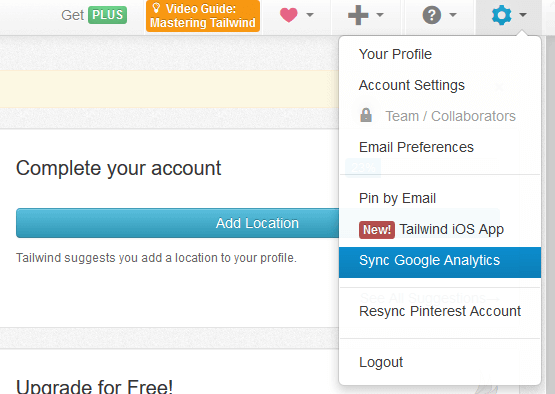 Click Allow to allow Tailwind to access your information and link to your analytics account. You should see a success message confirming that Tailwind has integrated with Google Analytics. If you have more than one website and more than one analytics profile, choose the correct profile to track and Save Changes. 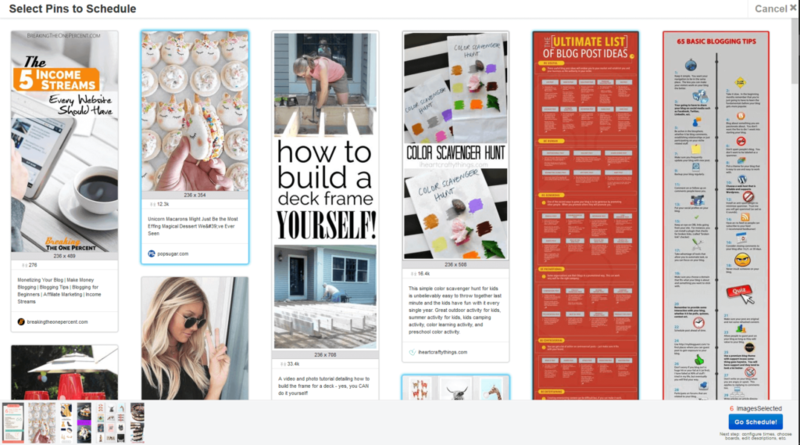 Have you ever wondered what you could do to improve your Pinterest account? Tailwind has a helpful feature that lets you know where you could make improvements to optimize your account. Click on See All Suggestions. Once you’ve optimized your account to your liking, you’ll need a pinning schedule to get started. Navigate to Publish > Your Schedule. You’ll notice there are some times already in your schedule that have been automatically generated. Time slots that are solid green are times on your schedule that Tailwind has suggested. Time slots that are dotted green are suggested times that you haven’t accepted yet. If you manually input times, they appear as gray. There are two options for adding new times to your schedule. You can Add Time Slot to add a specific time to each day individually (slow method), or click Generate New Smart Schedule and input the number of times you want to pin per day (fast method). Tailwind will generate a schedule for you based on what their data suggests is the optimum times. You’ll notice that some days your schedule may have more or less pins. This is because Tailwind is adjusting for popular and less popular days to pin. As you pin more with Tailwind, your suggestions will be tailored to your own account and results. The Tailwind browser extension is a great tool that saves loads of time queuing up pins. From Your Schedule, or Drafts, or Scheduled, click on “Browser” Extension. Tailwind automatically detects what browser you’re using, so if you’re using Firefox, this will appear as Firefox Extension. Follow the prompts to install it into your browser. Now that you’ve set things up, how do you pin with Tailwind? 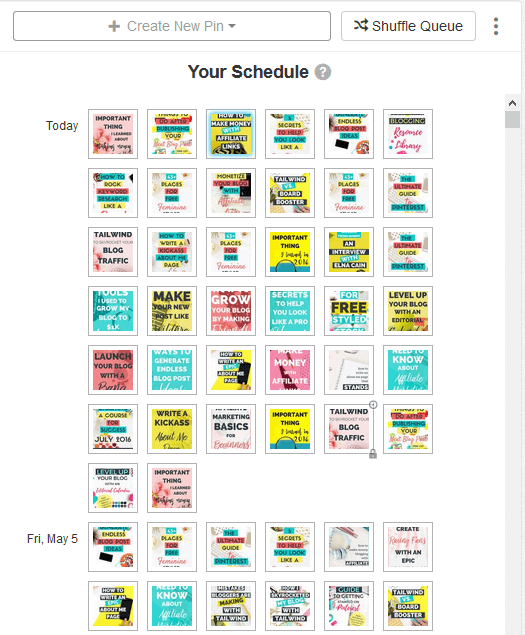 If there’s a hidden Pinterest-optimized graphic, you can click Schedule from the Pinterest share pop up to send the image to Tailwind to be scheduled. One of the best ways to use the Tailwind Browser Extension is on Pinterest itself. Click it and Tailwind will let you select multiple images at a time and click Go Schedule when you’re done. Tailwind then pops up a new window where you can tell it which boards you want each pin to go to and schedule them. You can choose to schedule them all to one board or select boards individually for each one. If you want to schedule your pins for a specific time you can do that by clicking on Set Custom Time (the clock icon at the bottom left of the pin). This will lock your pin in the time/date position that you set for it outside of your generated smart schedule. If you have added more than one board to your pin, you can use the Interval pinning feature to spread them out so they don’t post immediately after each other. Click on Use Interval and you’ll be able to set the time and date of the first pin and the minimum time between pins. Click Add to Queue Now to schedule each pin individually or Schedule All once you’ve added boards to all your pins. Or, if you’d prefer to schedule them later, click Save for Later. You’ll find these pins in your Drafts. Once you’ve scheduled your pins, you can view them in the Scheduled Pins screen. If you want to change the order, you can click and drag them to move them around or to move a pin to a specific date and time. Another feature Tailwind has is the Shuffle Queue function. This is great if you’ve pinned a batch of similar content and want to mix it up with other content. Simply click on the Shuffle Queue button and Tailwind will shuffle your pins. 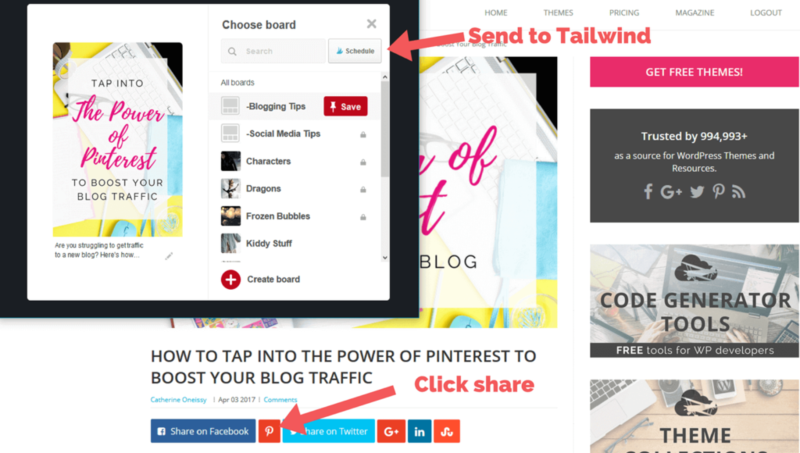 Tailwind is full of features that make pinning fast and easy and helps you monitor your success. Tailwind has a Board Lists feature that allows you to add multiple boards to a list. Set up a board list once and instead of manually adding multiple boards to each pin you can just add the list and be done in seconds. For best results, use Board Lists in combination with interval pinning or shuffling so your pin isn’t repeated without other pins in between. 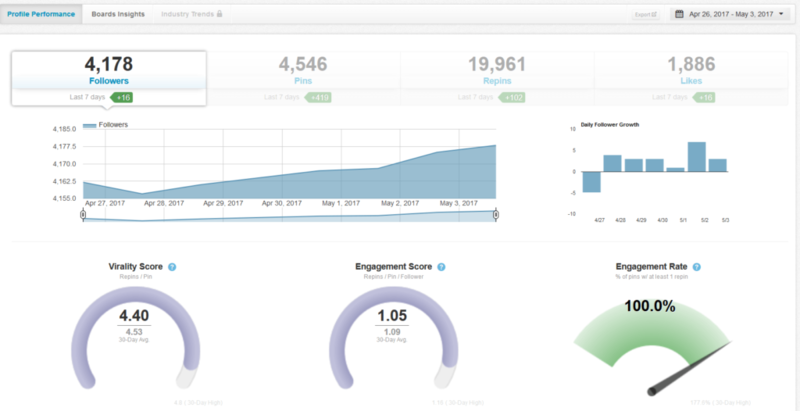 Tailwind provides robust analytics that help you measure your engagement and grow your account. The success of your pins. You can view your last 5,000 pins and sort it in many different ways including by repins or likes. Engagement levels of your boards including group boards. If you’re trying to grow your traffic with Pinterest, using a scheduling tool helps your account stay active and pinning pins to drive traffic back to your site. Tailwind is a great option as it’s full of features that make pinning quick and easy, and also gives you detailed analytics to help guide your strategy. Over to you – are you a Tailwind user? What’s your favorite feature?